Pythetron is a new evolution in the old school 2d shoot'em up (or shmup) genre built on a modern game engine utilizing advanced physics and 3d environments, with detailed models, animation, and sound. Pythetron takes a new direction in gameplay by allowing the game's pacing to be controlled by the player and allowing the player to explore the galaxy in a non-linear manner by earning stars and unlocking new worlds. During your journey across the galaxy you will earn coins to upgrade your ship's defense, speed, and offense, including many different projectile upgrade paths. You can progress through the game by perfecting speed strategies that earn multiple stars per run, or by exploring every corner of the galaxy in search of stars one at a time. 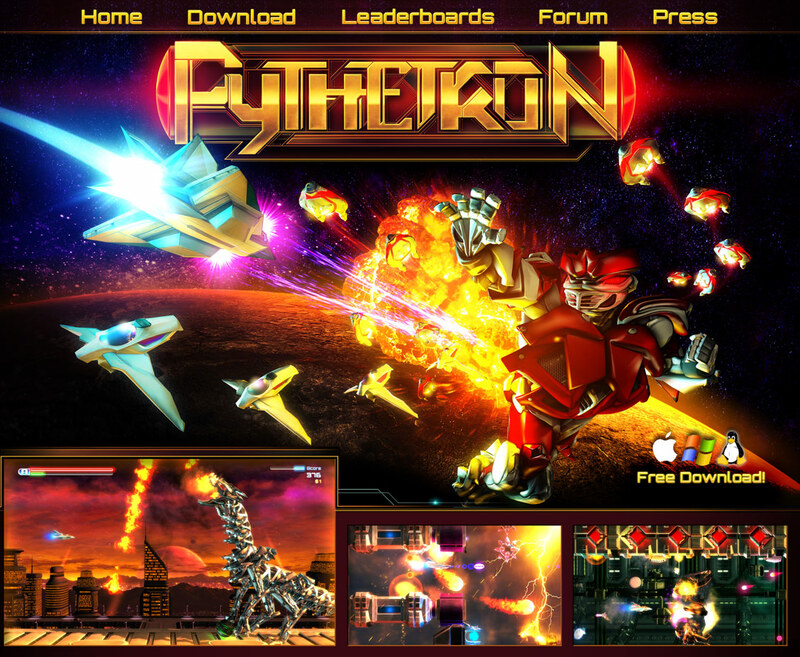 Designed for speed-running, Pythetron is a fast paced, high action, intense 2d shoot'em up. Earn massive weapon combos and have fun going from a pea shooter to a machine of total destruction that can easily earn multiple stars per level, unlocking more and more content. Never a dull moment as you encounter several unique enemy types on your journey across the galaxy. Explore new levels or replay previous levels in new ways to earn more points, gaining more stars to unlock new worlds. Collect coins to purchase dozens of upgrades including several different weapon upgrade paths that change the appearance of your ship. Your game is saved after every run, allowing you to come back to the action at any time. If you're up for it, see if you can master all 50+ levels. Sign up to be a part of the global leader board and compete against other player's top runs. See if you can set a world record or earn a special badge for speed and score achievements. Fight 10+ bosses with each world offering a new battle.